Discover new research methods for exploring family life and evaluating and designing domestic technology. Learn about the challenges in designing for and studying domestic life from experts in the field. Read researchers' candid stories about what works and what does not work in practice. 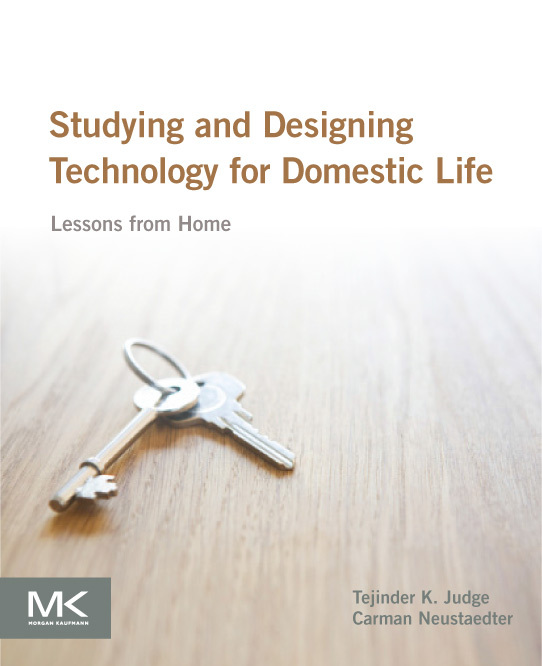 With the increasing interest in designing and evaluating technologies for domestic life, this book could serve as a resource for academics, researchers, designers, and students wanting to learn about methods for conducting research on domestic life. First, it could be used as a textbook or a supplementary resource for university courses focused on studying domestic routines, technology usage or designing and evaluating technology for families. The entire book, or specific chapters could be used to teach and learn about particular methods and their application in domestic settings. Second, this book can be used as a resource for students or new researchers wanting to learn about conducting studies of domestic life or domestic technology design. The collection of chapters should enable them to learn about methods that have been successfully used and how to apply them. The chapters are also a resource in and of themselves as each chapter includes a literature review and references related work. And finally, this book can be used as a reference book that a reader could pick up from her bookshelf to learn about an appropriate method for a research problem that she is working on. Copyright © 2015 Tejinder K. Judge and Carman Neustaedter. All Rights Reserved.